This is one of our elite students’ favourite wedge play games, and with good reason – it focusses your mind on what really counts with wedge shots, getting the ball close enough to the hole to be reasonably sure of making the putt! Start by setting up the practice area that you use for Golf Wedge Play Drill 201 – Touch: Skill Development, with precisely marked distances, every 10 yards, from 30 to 120 yards. Play 10 wedge shots, one from each marked distance. 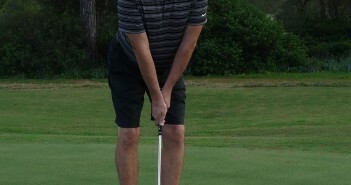 In this game, pitching the ball within 2 steps of the target counts as a birdie – if you’re a decent putter, you’d expect to hole the putt from this range. Count the total number of birdies – shots that you land within 2 yards of the target. So, if you are playing a 68 yard shot, and the ball pitches 1 yard long and left of the pin, that’s a birdie, even if the ball rolls away from the target. If it pitches 3 yards short, you score zero for that shot, no matter where the ball stops. It is important that you perform your full pre- and post-shot routine for every shot. 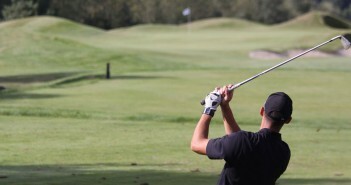 Read the conditions, and carefully determine the club required to pitch the ball close to the target each time. Take your time to visualise the shot, try the right amount and react to the target. Use your post-shot routine to actively build your self-image and learn from your mistakes. When playing this game, you should be paying full attention and trying your best to make every shot. Be competitive! 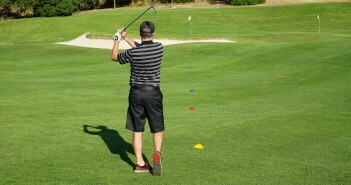 With the Making Birdies wedge play game, a total score above 5 is pretty good, and anything better than 7 is excellent. 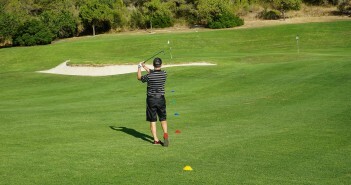 Any score below 4 is poor, indicating that you need to work hard on your wedge play skills, and that you have a lot to gain by doing so. Always record your score in your practice session log, you can use the scorecard above, and try to beat your personal record each time you play this game. The competitive edge is crucial. After you play, take the time to record your score and make notes in your practice session log of any mistakes, and any distances or conditions that you particularly struggled with. Think about what you can do to improve before the next time you play. 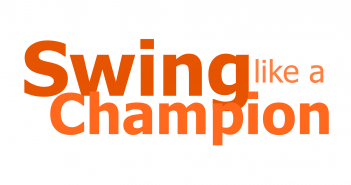 This article is part of the Golf Loopy Score like a Champion series, the sensational new wedge play game improvement system that will help you to attack the pin from 120 yards and in. The improvements to your scores will be dramatic, and they will be permanent.